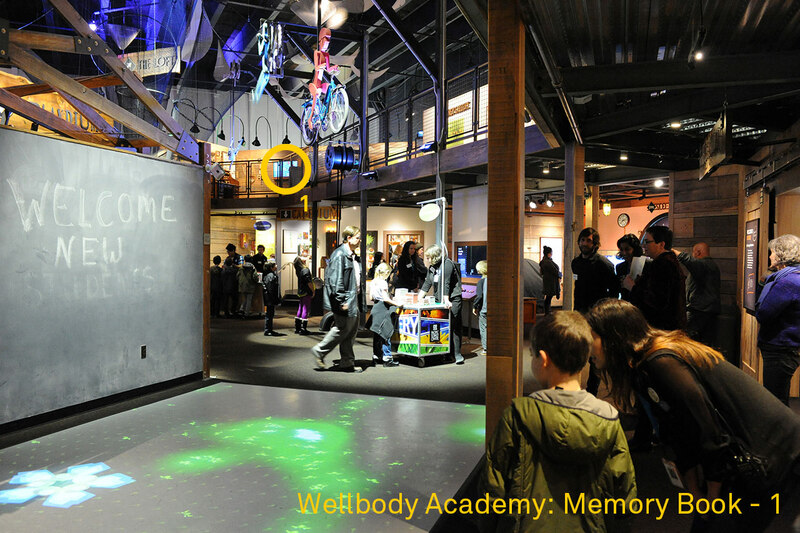 The Memory Book project creates a dynamic tether from the Pacific Science Center’s Wellbody Academy to visitors, the community and the world. 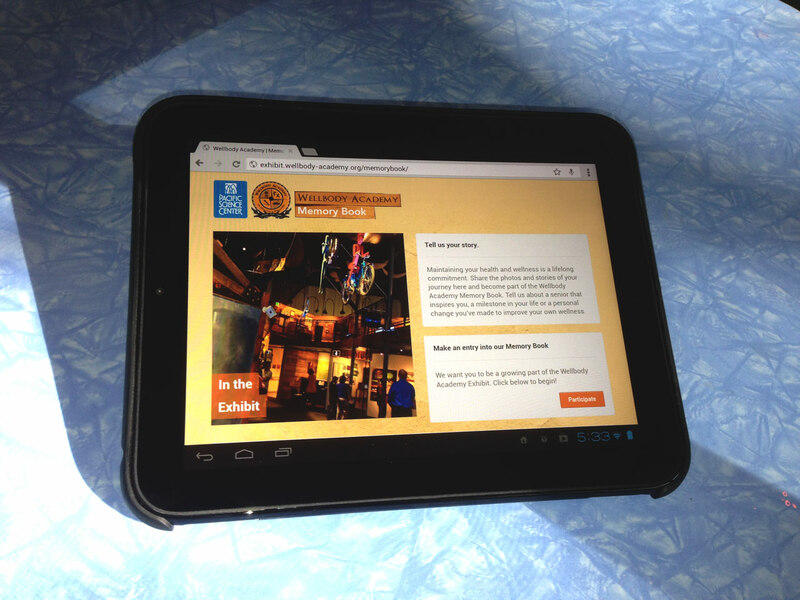 People can share their experiences with each other regardless of location via a website on tablet, phone or computer. 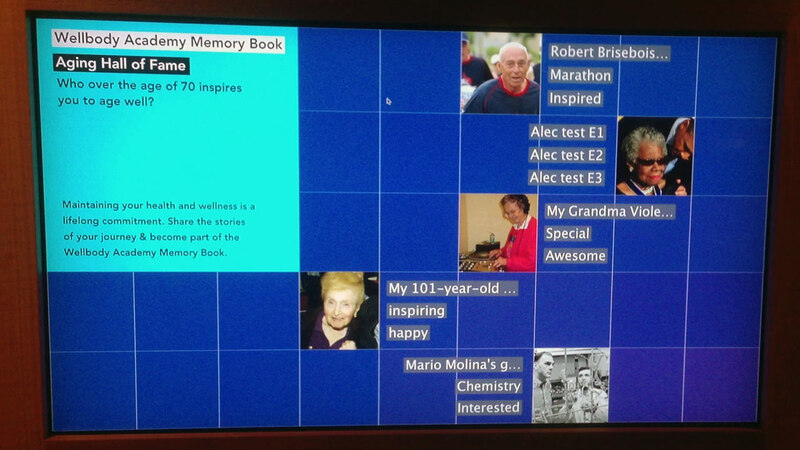 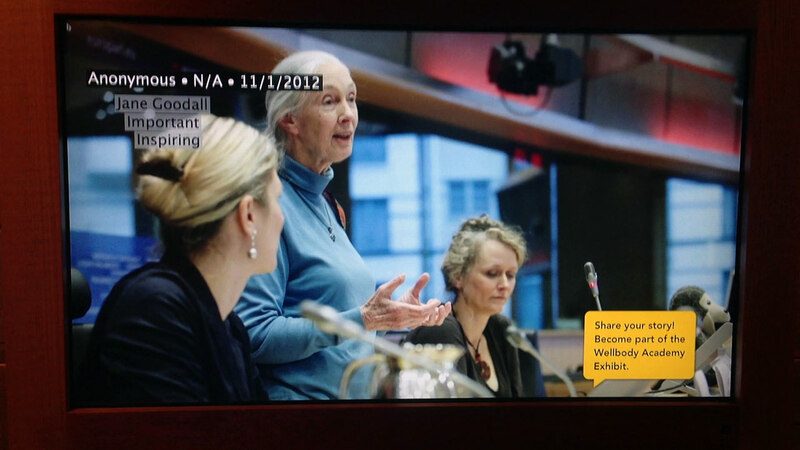 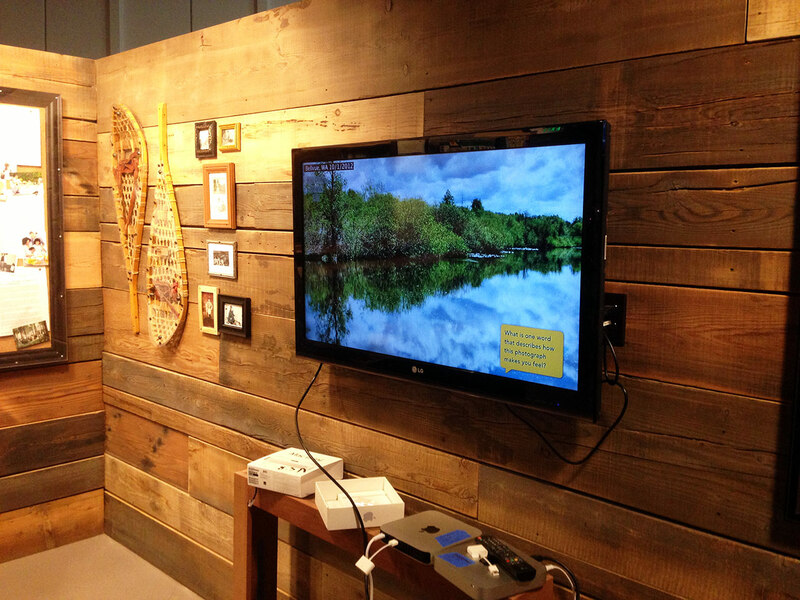 A Processing (processing.org) application displays approved visitor photos and text submitted via the companion website on (3) monitors across the upstairs ‘Loft’ area of Wellbody Academy.